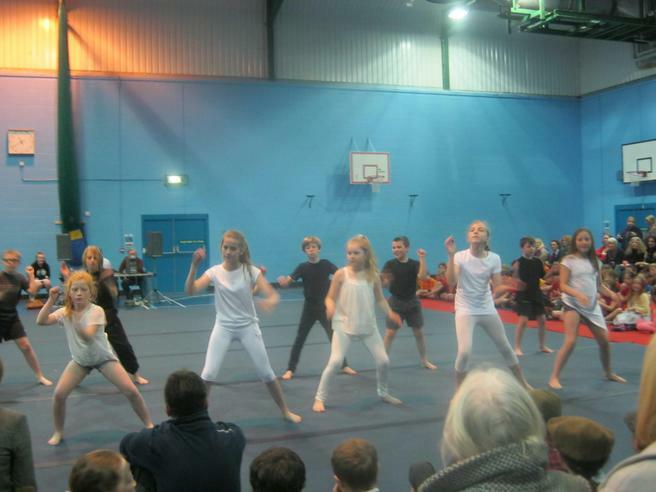 On Wednesday 16th March the children in Years 5 and 6 took part in the annual Gym and Dance Festival organised by Kingsbridge Community College. 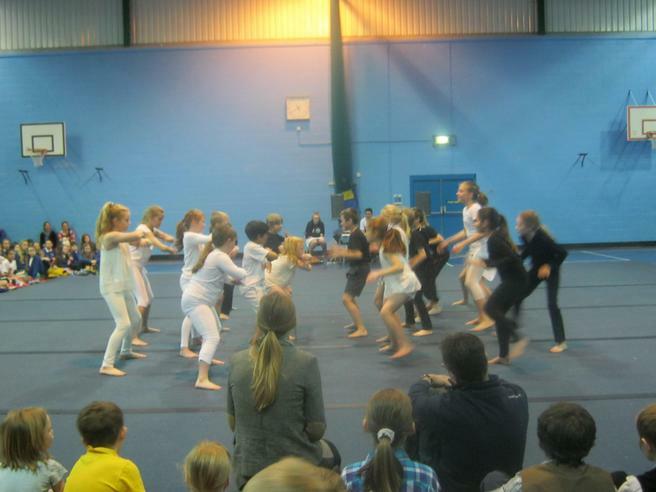 Dressed in black and white, they danced a Haka to the music 'The Black Hole' which had been choreographed by Mr Hilling. 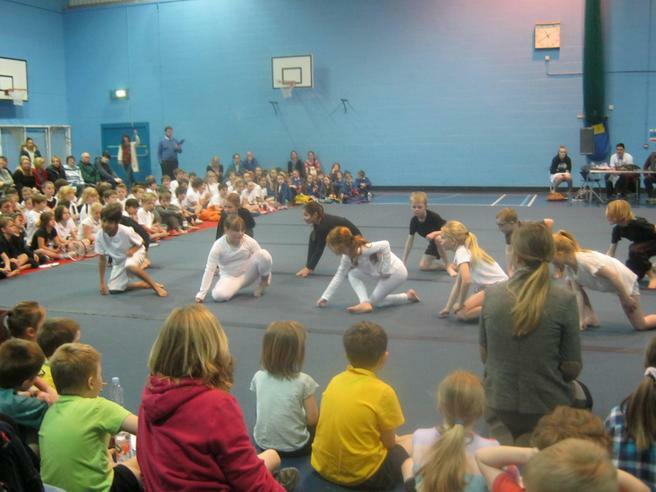 Although they were all slightly nervous about performing in front of all of the other schools, they did brilliantly and we are all very proud of them. Well done Swans!